Mad Max Begins in Spain? Honestly, these politicians may be well trained lawyers, but they are absolutely brain-dead when it comes to understanding human nature and the impact of their clever laws. Just pick up a history book and you might learn something. Human nature has not changed. A mother still cries for her son who dies in battle today as she did in ancient times. History repeats like a Shakespeare play where the actors change, but we know what the ending will be no matter how many times it is performed throughout the centuries. The number ONE item of value is ALWAYS food. In Japan where money became extinct and no coins were even minted for 600 years because people no longer trusted government, the medium of exchange became a standard bag of rice. In Spain, people are emerging from the cities and stealing food from the farms. The politicians cannot comprehend that they are the problem. 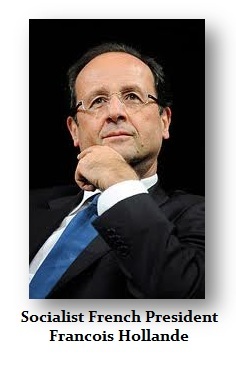 What is next with Hollande in France? He will confiscate all gold fillings in people’s teeth following Hitler? Their ideas are destroying civilization. Marx is dead. Stop this crazy idea of altering society. The start of a Mad Max is emerging in Spain.